Play Cute Salon and more Girls Games on Games1.com! 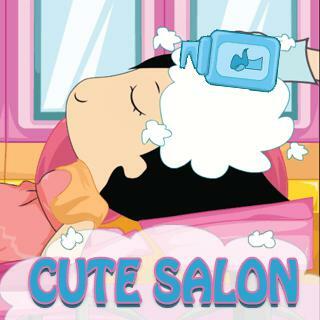 Cute Salon is a girls game with colorful anime graphics, which makes it very popular among young girls. The manga doll needs a make-over: shampoo her hair, blow-dry it, cut and style each strand of hair individually and pick the perfect accessory to match her new look. The great selection of different features to create her style, among them even contact lenses, allow to enjoy being creative for a long time and try out a variety of looks for different occasions. At the end, chose the matching background and present your own creation.